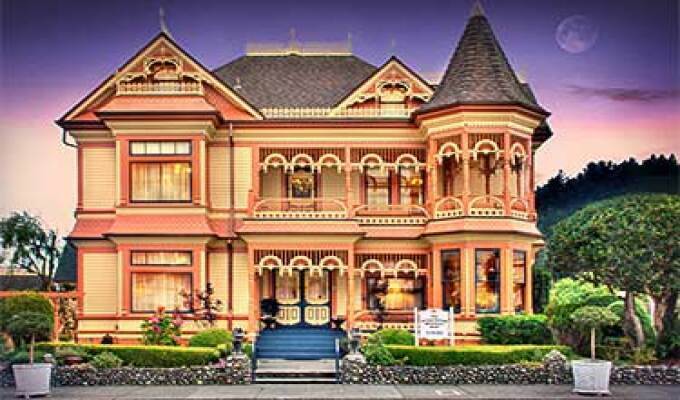 The Gingerbread Mansion is a Boutique Luxury Bed and Breakfast with 11 rooms & en suite baths. Near the heart of the Redwood Empire, the inn is minutes away from state parks, oceans, beaches, and hiking & walking trails. The Mansion stands in Ferndale, a Victorian village with antique shops, art galleries, & shopping stores. Room rate includes breakfast, afternoon tea & wine, and free WiFi.